How Heavy Should A Bow Be? Archery Field, Dr. MGR Janaki College of Arts and Science, Adyar, Chennai. The 11th Tamilnadu State Archery Championships will be conducted on Saturday and Sunday (6th and 7th October, 2018) at MGR Janaki Womens College grounds, at Adyar, Chennai. 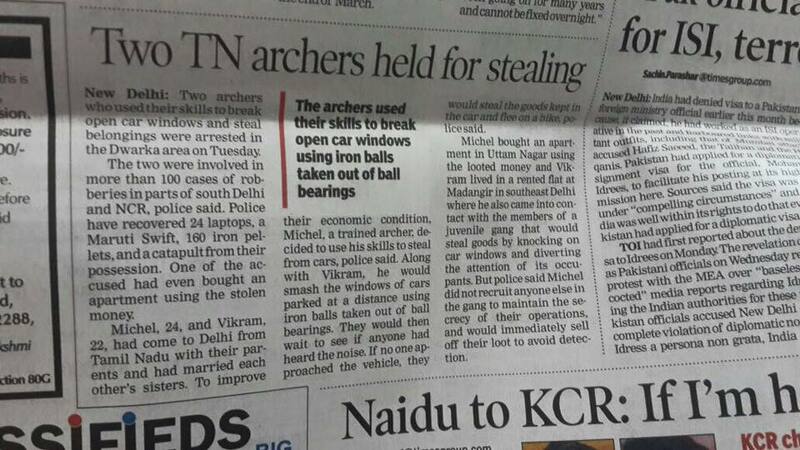 Organized by The Archery Association of Tamilnadu (TAAT). Recognized by and affiliated to Tamilnadu State Olympic Association (TNOA), Sports Development Authority of Tamilnadu (SDAT), Archery Association of India (AAI) and WORLD ARCHERY (WA). Team and Mix Team events registration is opened for all categories. * The last date for Team and Mix Team registrations is 25th September, 2018 by 5pm. No entry will be entertained after this deadline. NOTE: Regular category registrations can also be done, with late fee of Rs. 1000/- per entry. Please check the online registration form link at the bottom of this page. * On both days the competition will start at 6am and will close at 6pm. * The last date for registrations is 15th September, 2018 by 5pm. No entry will be entertained after this deadline. PLEASE GO THROUGH THE DETAILS MENTIONED HERE BELOW AND THEN REGISTER FOR THE STATE MEET. FORM LINK IS PROVDED AT THE END OF THIS PAGE. Those who have not registered by 15th September, 2018 need not register again. Even if you register, it will not be accepted. All participants should have registered in TAAT to be able to participate in the state meet. If not registered yet, then click here. NON REGISTERED ARCHERS WILL NOT BE ALLOWED TO PARTICIPATE IN THE STATE MEET. 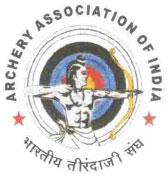 NOTE: Participation certificates will be given only to Archers scoring the minimum percentage prescribed by AAI. NOTE: Only medals will be awarded to TAAT categories. * The registration fees per category per person will be Rs. 1100/-. The registration fees must be paid at the venue, from 6am to 8am on Saturday 6th October, 2018. An Archer can participate in any number of categories. Archers must register separately for each category. Please check the schedule sheet before paying your fees. You can't participate in multiple categories which are scheduled at the same time. Fees paid are non refundable under any circumstance. Archers who are participating in the Tiny Tots, Mini Sub Junior, Sub Junior, and Junior categories has to produce ID, Age and Address proof documents. Senior Archers should provide ID and Address proof documents. Boarding and lodging will not be provided. YOU MUST MAKE YOUR OWN ARRANGEMENTS FOR FOOD AND HOTELS. NOTE: PLEASE DO NOT USE THE TEA SHOP AT THE COLLEGE ENTRANCE, AS WE HAVE AN ISSUE WITH THEM. * Uniform code for the state meet. Prescribed uniform is Red T-Shirt and Black Tracks. * Uniform prescribed for the state meet (Red T-Shirt and Black Track) must be worn by all for participating in the championship. Please submit the details through this form immediately for ordering uniforms. Please contact Mr. Dinesh (WhatsApp ONLY: 9150627135) for further clarifications. You are allowed to wear your own Black tracks, if stock is not available. T-Shirts should be bought from Mr. Dinesh. * Archers representing districts which are affiliated to TAAT, are allowed to wear their own district uniforms. * There will be a Freshers workshop for any and every archer in the state who is attending the state meet for the first time. 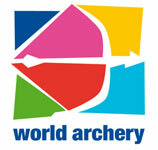 Safety rules and regulations, code of behavior in the field, field etiquette and updates in World Archery rules will be taught. Archers will also get used to shooting in the field of the competition. * Freshers who do not attend this workshop will not to allowed to participate in the state meet. State Chief Coach Shihan Hussaini HU (Level 3 Coach, World Archery) will make corrections to form and technique, Mr CS Manian (International Judge Candidate, World Archery) will teach rules of the book and Mr Dinesh, Chairman, tournament committee will be the organiser of the workshop. For any further clarifications, please contact Mr Dinesh - 91506 27135. * Workshop will be conducted on 3rd and 4th October (both days) from 6am to 6pm. * Only Archers participating in the state meet will be allowed in this workshop. No outsiders or non participants will be allowed. NOTE: Please follow TAAT website www.tamilnaduarchery.com for further updates on the schedule and other important details.